This story line of this week's Haftorah: 31:1-5: Yirmiyahu begins this week’s Haftorah by reminding the nation of Israel about Hashem’s love for them. 31:6-8: Yirmiyahu then goes on to speak about the future ingathering of the exiles to the land of Israel. 31:9-10: The prophet then speaks further about the redemption of the children of Jacob. 31:11-13: Hashem will cause the Jews to rejoice. 31:14-16: Rachel is weeping about her sons in exile, and Hashem appeases her. 31: 17-19: Hashem will accept Ephraim’s (The leading Tribe) repentance, and will therefore accept repentance from all the other tribes. The connection to the Parasha: The Haftorah contains Hashem’s promise to Yirmiyahu that there will be Jewish Redemption. Since the redemption will come around the time of Rosh Hashanah, we therefore read this Haftorah. Yirmiyahu's biography: The meaning of his name is "Hashem will elevate." He was born in 640 B.C.E. on Tisha B'Av. He was birthed in Anatot, 2 miles north of Jerusalem in the land of Benjamin. Yirmiyahu was born with a circumcision. He was a descendant of Rachav, the innkeeper that was saved from Jericho's destruction. He was the son of Chilkiya who was also a prophet. He was a Kohen. He spoke while still a child as the words he delivered were not words of a youth and he cursed the day he was born. He was chosen by Hashem in 624 B.C.E. to be a prophet, about 2625 years ago. Yirmiyahu claimed he was too young for the job. Yirmiyahu lived in Jerusalem. He began prophesizing when he was 18 and continued for 40 Years. Yirmiyahu's prophecies took place before, during, and after the destruction of the Beit HaMikdash (Holy Temple). Nebuchadnezzar King of Babylon destroyed the Temple. He remained in Jerusalem after its destruction with Gedalyah ben Achikam, who has his own fast day. Shafan was his scribe. Shafan brought the scroll he found in the Beit HaMikdash to Yirmiyahu, which was originally written by Moses. It was open to the verse "Hashem will bring you and your elected King to a nation unknown to your fathers." That scared people into changing their ways. He was never married and he never had children. He was the head of the Mishmeret Hakohanim (The Guard by the Priests doing work in the Holy Temple). They were the custodians of the Ark of the Lord. He wore a wooden yolk around his neck. 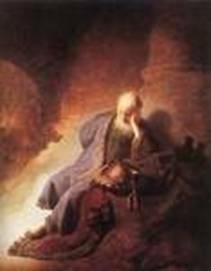 Yirmiyahu was known as the Weeping Prophet. Yirmiyahu wrote 3 Books: Yirmiyahu (Jeremiah) consisting of 52 chapters, Eicha (Lamentations), and Melachim (The Book of Kings). The time span of the book of Yirmiyahu is 66 years. Baruch was his friend and disciple. He was stoned to death after fleeing to Alexandria, Egypt. Haftorahman's Lesson of the week: Deliver the message without fear of the response. Famous phrases from the Book of Yirmiyahu: Jeremiah 17:7 Said at the end of the Birkat Hamazon "Baruch Hagever asher yivtach B'adoshem" " Blessed is the man who trusts in Hashem, and Hashem will be his helper". The Haftarah concludes with a passuk in the Amidah taken from Jeremiah 17:14 “Refaeni Hashem vu'errafeh, hoshe'eni v'evashae , ki tehelati atah". “Heal me Hashem, and let me be healed. Save me and let me be saved, for you are my glory." 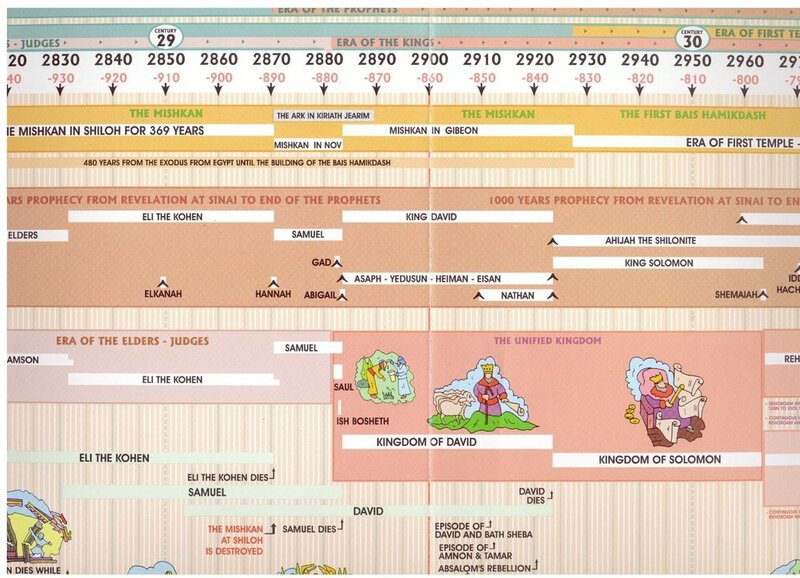 Timeline: Yirmiyahu prophecies just before the destruction on the 1st Beit HaMikdash 2650 years ago.